Edmund Walter Higley Halliday was born in Reading, Berkshire in 1875, the eldest of five children. In the late 1870’s the family moved to Bedminster, Somerset where his father, also Edmund Halliday, was employed as a factory foreman. Subsequently, his father established his own business trading as an iron merchant and mechanical engineer and by 1891, aged sixteen, Higley was working as a mechanical engineer’s assistant which gave him a solid, practical foundation in engineering which he would draw upon throughout his career. Given their proximity to Bristol, Higley and his father would have regularly visited the city’s bustling docks and those of nearby Avonmouth and Portishead, where ocean going ships, military vessels and smaller coastal craft were to be found in abundance. Higley was clearly fascinated by what he saw. In 1887 - aged twelve - he produced some of his first technical drawings which were already fine examples of draughtsmanship. One vessel that clearly caught his attention was the S. Y. ‘Cleopatra’ (ex ‘Semiranis’). He produced an ink drawing of Cleopatra’s external elevation together with a line drawing of her Naphtha launch from measurements taken on board. At around the same time, Higley drew the lines of the Avondale lifeboat using the same technique. These drawings were followed by several of Halliday’s original designs for sailing dinghy’s, the earliest, ‘Calabash’, dated 1889 was followed by others of increasing sophistication throughout the first half of the 1890’s. Around this time the family moved to Hammersmith and when a dolphin was beached at Chiswick in 1896, Higley produced a most unusual technical study - recording it’s lines, external elevation and cross section. J. I. Thornycroft & Co. Ltd.
By the mid 1890’s Higley’s father was employed as a steamboat inspector on the River Thames and Higley may have been able to secure an apprenticeship with John I. Thornycroft & Co. Ltd. at their Church Wharf site at Chiswick through his fathers' connections. Initially working as a draughtsman, Higley produced technical drawings of boilers and steam plant and by the early 1900's was increasingly involved in the design of steam launches and yachts. 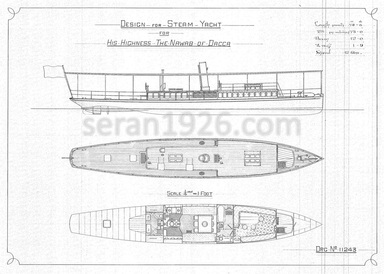 A number of these designs have survived, including a steam launch for the Nawab of Dacca. Also during this period, c. 1900, he successfully patented “Halliday’s Steering Apparatus”, a novel invention incorporating three propellers of which the largest was positioned immediately forward of the rudder. This was the first of a number of inventions Halliday patented in his early career. 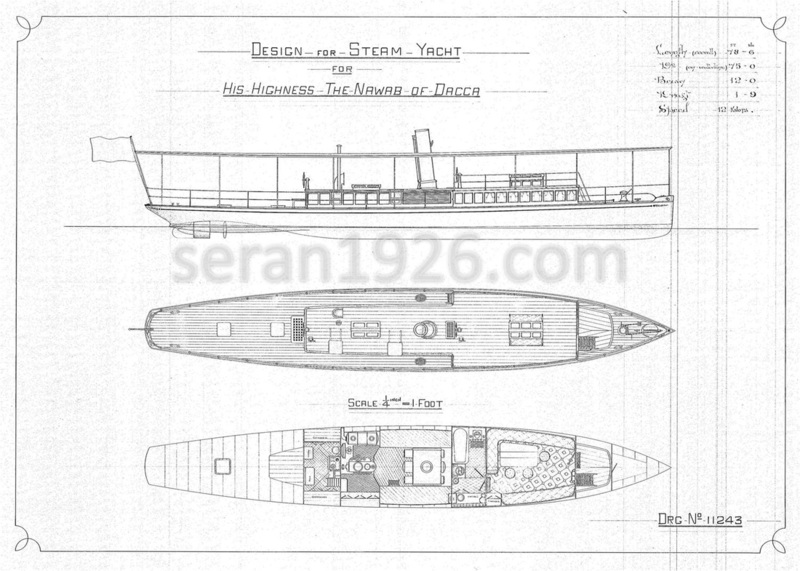 While steam launches and yachts appear to have been his principal focus in his early years at Thornycroft’s, by 1902 Halliday was increasingly involved in designing launches fitted with some of the earliest marine motors. Thornycroft were at the forefront of developing the marine motor and by 1903 Halliday had the good fortune to be working closely with Tom Thornycroft designing some of the most innovative and high profile projects within the firm.